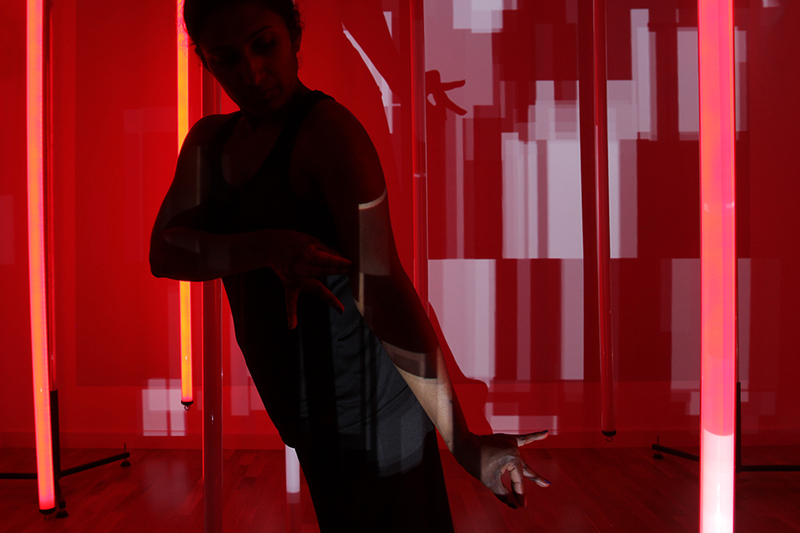 Last week we worked on the beginnings of a new show with Sadhana Dance. Myself and Matthew Olden worked on video and sound, with Aideen Malone on lights and Suba Subramanium dancing and directing. The idea was to create an immersive AV environment for Suba to move within. The sounds were made from recording EMF signals from the lights, and Matthew programmed a system for the sound to trigger the lights and video, or – alternatively the lights triggering sound by using live feeds from EMF microphones on the lights. 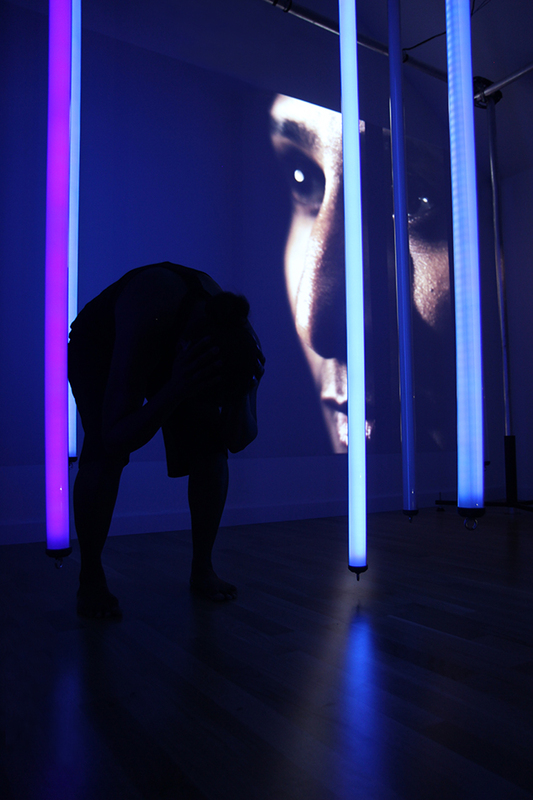 We were aiming for many networked relationships between light, sound and movement. Spoken word was also woven into the texture written by Chris Fogg. We put together a 20 minute piece to share with a small audience which was well received. We are working towards producing a full finished piece next year. Here are some photographs of the work we made – with a video to follow shortly. 22 May, 2015 | Filed under News and tagged with audio-visual, collaboration, dance, installation, performance.